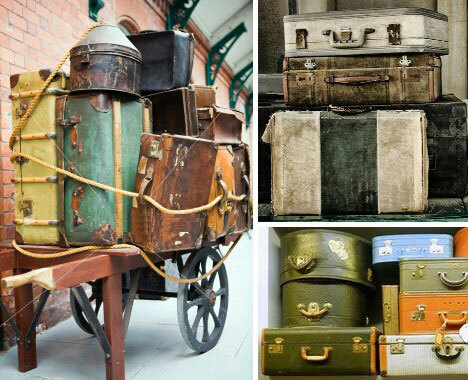 Suitcases have grown in size, style and security as trains, boats and plains made the world a smaller place. From buckskin packs to steamer trunks to carbon fiber carry-ons, the story of the suitcase parallels the explosion of travel and tourism. 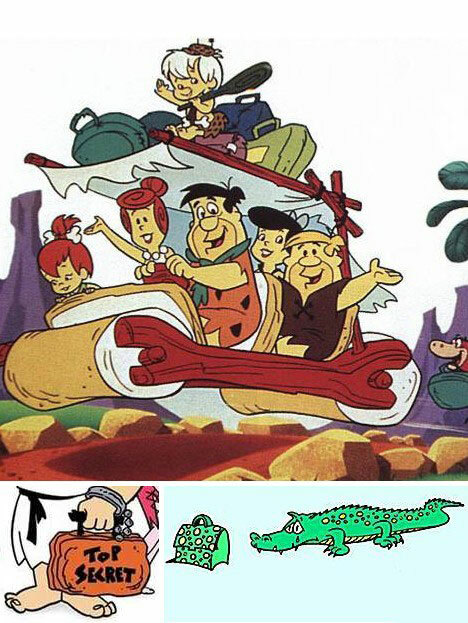 Flintstones, meet the Flintstones… and like any family (modern or otherwise), Fred’s brood took the occasional vacation to prehistoric hotspots like Hollyrock, Frantic City or Rock Vegas. Lugging stone suitcases wasn’t easy, but who wouldn’t want an alligator bag made from a living gator? 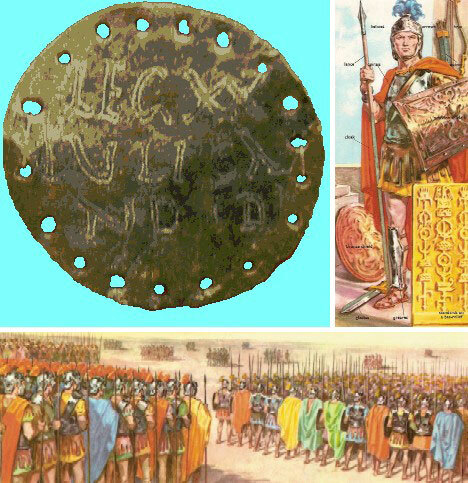 In prehistoric times, human society was nomadic in nature and travel was a way of life. Even Otzi the Iceman packed a travel kit on his final journey into the Alps. The forerunners of the suitcase had to be tough, flexible and above all light. 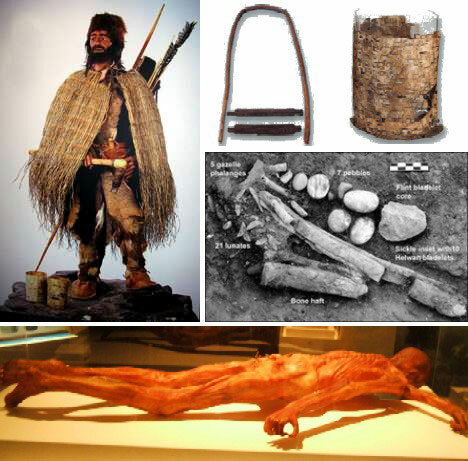 Otzi carried a rudimentary wood-ribbed backpack which supported a leather bag. No sign of any “I Skiid Gstaad” stickers. By the 19th century, the modern suitcase was finally taking its familiar form. Rugged and well built, antique suitcases had to withstand years of use on unpaved roads, often exposed to inclement weather. The average suitcase of the age was made of thick, oil-treated cowhide stretched over a stout wooden frame. Travel became an option, not a necessity, and exotic vacations became the new status symbol. Tourists plastered their suitcases with travel stickers – the more, the merrier! 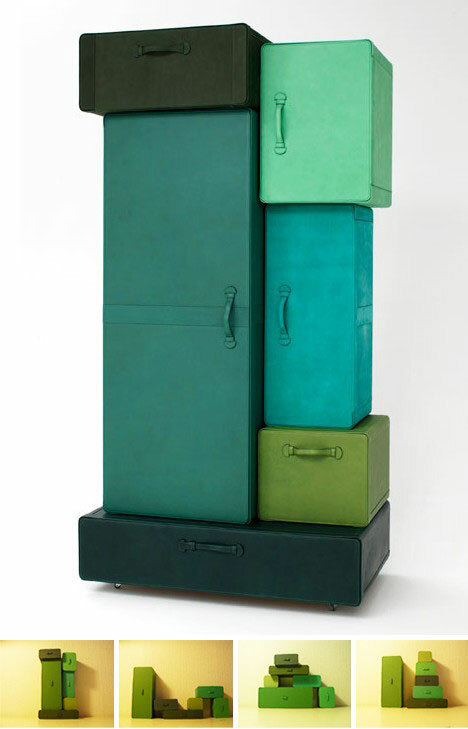 The multi-labeled suitcase became an icon of travel, tourism and the vacation industry by the mid-20th century. 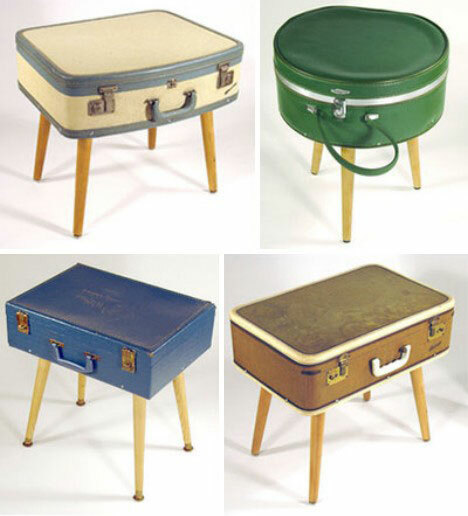 Vintage luggage was built to last, making it ideal for other uses once its traveling days are over. 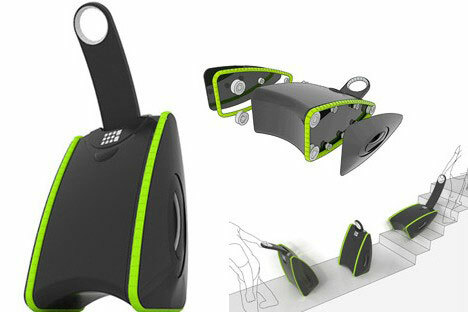 These seatcases are a, umm, case in point. It’s not known whether the suitcases are sealed before being recycled as chairs – if not, they could do double-duty as extra storage. The name “suitcase” is in some ways a misnomer… suits need to be kept as wrinkle-free as possible so they’re usually hung up in garment bags. Even so, the word has passed into common usage. 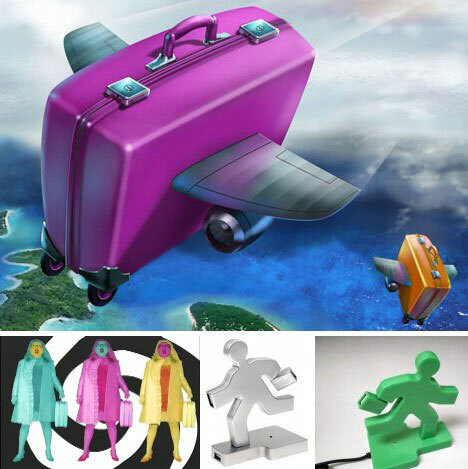 Above are several suitcases that were designed to carry some very un-suit-like objects. Clockwise from upper left: suitcases for cameras, bras, pool cues and cigars. Modern travel forces people together while segregating their baggage. 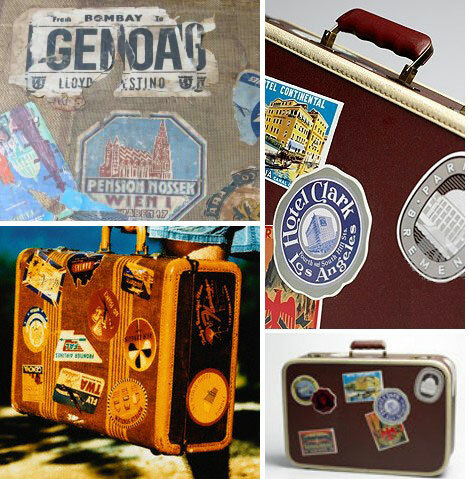 Matching up suitcase and owner upon arrival – on a mass scale – introduced the need for luggage identifiers. These take two different forms: either an unusually colored suitcase or some sort of elastic band such as the starry one above. 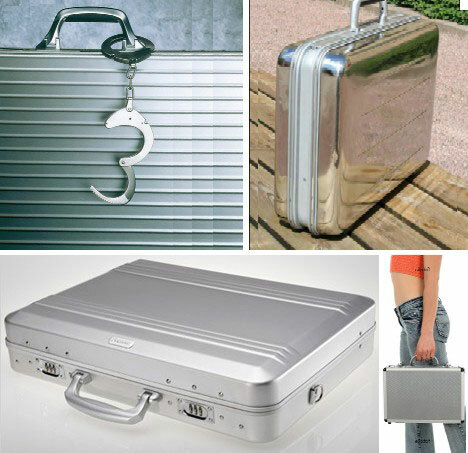 Nothing stands out in a crowd of dull leather or fabric suitcases like the glint of stainless steel. 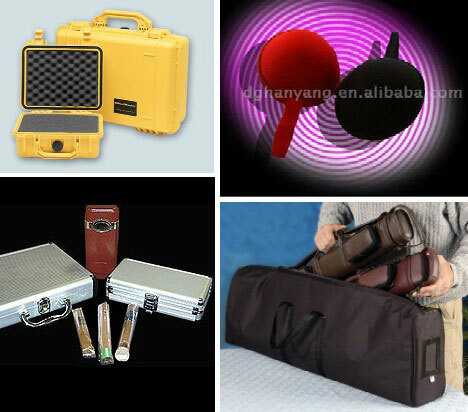 A wide variety of metal suitcases are available and all are surprisingly light, though if weight is the main concern then aluminum or magnesium are the elements of choice. Sizes range from large travel suitcases down to notebook cases as sleek as the MacBook within. Think carrying a metal suitcase makes you look like some sort of secret agent? Add in a trenchcoat and some mirrored shades and the deal is sealed. 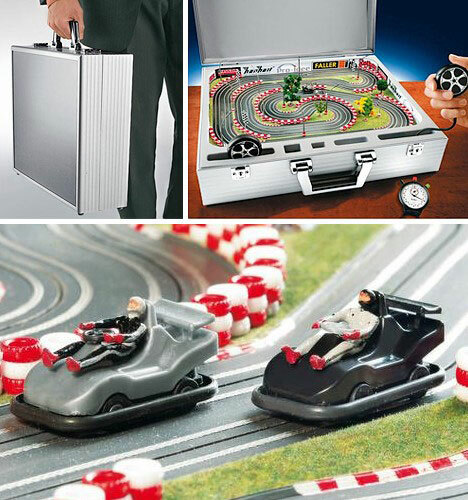 Little do they know that you carry neither atomic secrets nor ransom money for a gorgeous kidnapped heiress – instead, your bulletproof metal suitcase opens to reveal the Mini-Kart-Bahn, a self-contained miniature race course! Ingenious wheel-shaped controllers are included; kidnapped heiress is extra. 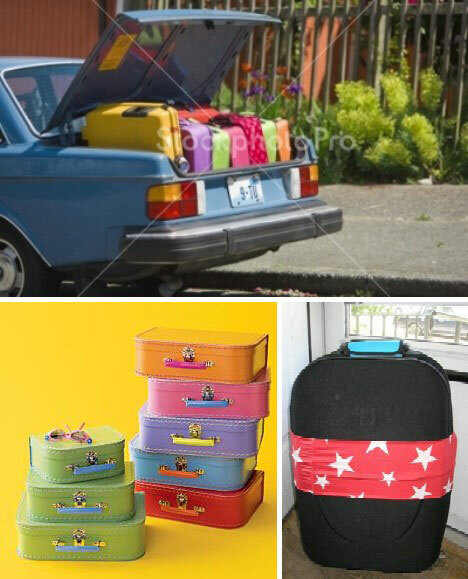 Tired of your suitcase? 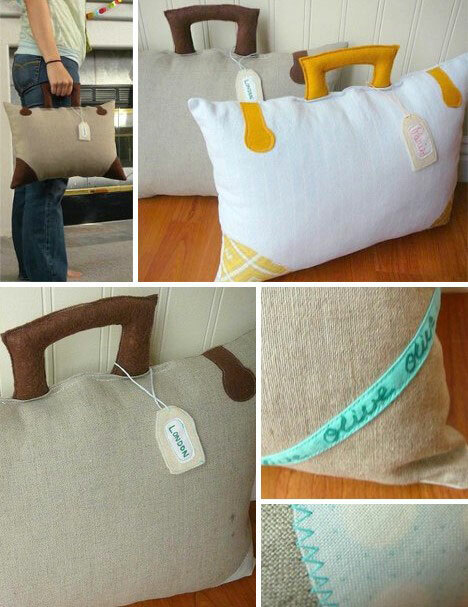 Here’s a suitcase… made for tired travelers by accomplished Etsy artist Olive. The stuffed suitcase pillow measures 15 inches wide by 11 inches tall and features polka-dot print corners and chocolate brown felt handles & latches. 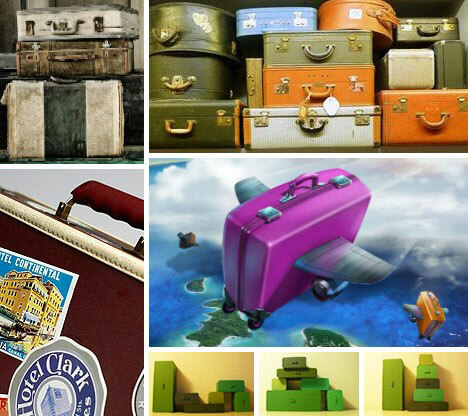 Suitcases are such an essential part of our lives that it’s only natural they’d be the subject of art. Dutch designer Maarten De Ceulaer uses suitcases like LEGO blocks to form stacked conglomerations meant to express the solid yet fluid flow of modern life – or something. Has the suitcase reached the limit of its evolutionary possibilities? Hardly. 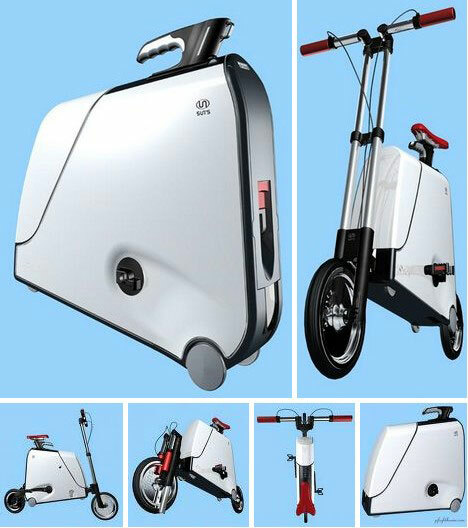 Take the Tank Suitcase above, an innovative design by conceptual thinker Woo Moonhyung. Called the Climbing UP Suitcase, the suitcase features tank-like treads that encircle the case on both sides, making it a cinch to pull up stairs and inclined surfaces. Moonhyung won the 2008 Red Dot Design concept award with the Climbing UP so there’s every chance it’ll be put into production someday. Wherever humankind may wander, be assured he/she will have suitcases along for the ride – or who knows, maybe our suitcases will BE our rides. Case closed, carry-on!